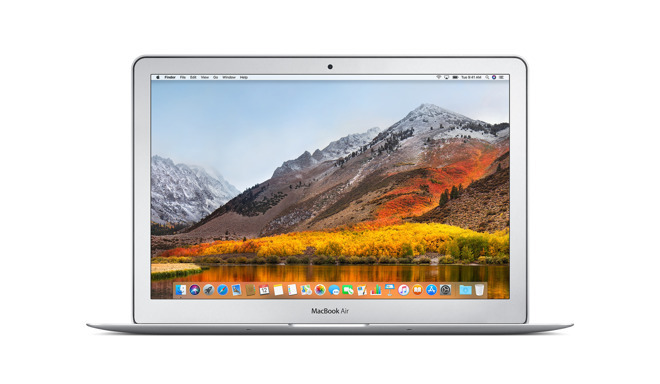 Apple is planning to release an updated MacBook Air towards the end of the current quarter, which ends in September, according to one research firm. "The second quarter was the transition period when Apple was preparing for the releases of the upcoming new MacBook devices for the year," TrendForce said on Wednesday. The firm expects MacBook shipments "to again post a large QoQ increase in 3Q18, as Apple will be releasing a new MacBook Pro at the start of the quarter and a new MacBook Air at the end of the quarter." TrendForce didn't identify the source for its Air predictions, and has repeated some claims without verification in the past. Still, separate rumors have pointed to an Air refresh around the same time period. Apple is expected to revamp the laptop, which now holds the dubious distinction of being the only MacBook without a Retina display. It could make the jump to that technology with a 2,560-by-1,600-pixel screen by LG. Earlier this week one of Apple's main suppliers, Quanta, was claimed to be preparing new, "inexpensive" MacBooks. That could also be referring to Apple's 12-inch MacBook, which is also due for a refresh. If Apple times its product launches right, both the Air and the 12-inch MacBook could come preloaded with macOS Mojave instead of High Sierra.